Each iCaddy App can be built for iPhone and Android devices. The device type defines the 'target platform' (i.e. iPhone or Android). 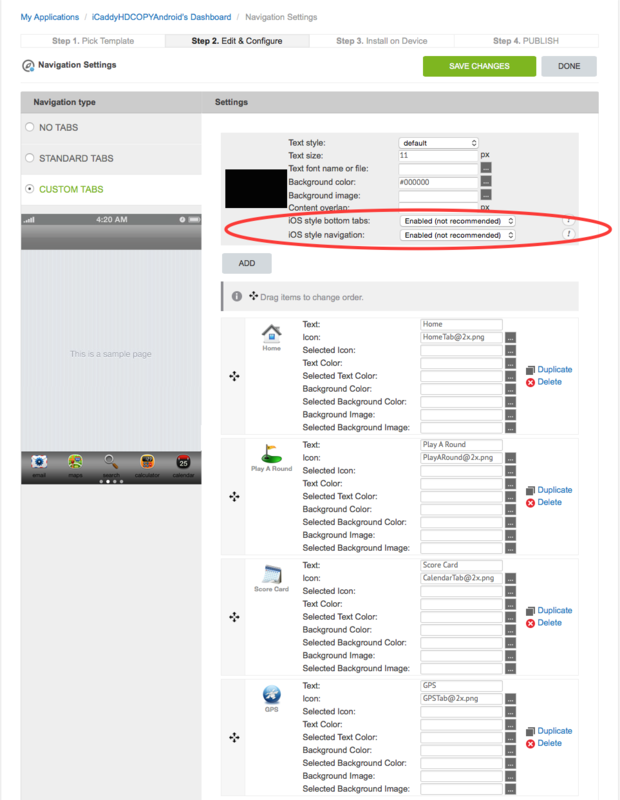 iCaddy App templates are configured for the iPhone target platform by default. We recommend using the iPhone target platform for your primary build (and then converting the App to Android). Alternatively, you can build your App for an Android device and then convert to iPhone. Either way, our build framework provides easy conversion from one target platform to the other. 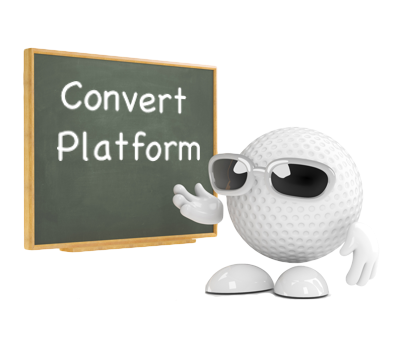 The conversion process minimises the amount of build-effort required to create an App for both target platforms. This means you get two great Apps for the work of one! There are two main requirements to convert an App from one platform to the other. The first step is to duplicate your (completed) App. To learn how to duplicate an App, go to How to Duplicate Your App. 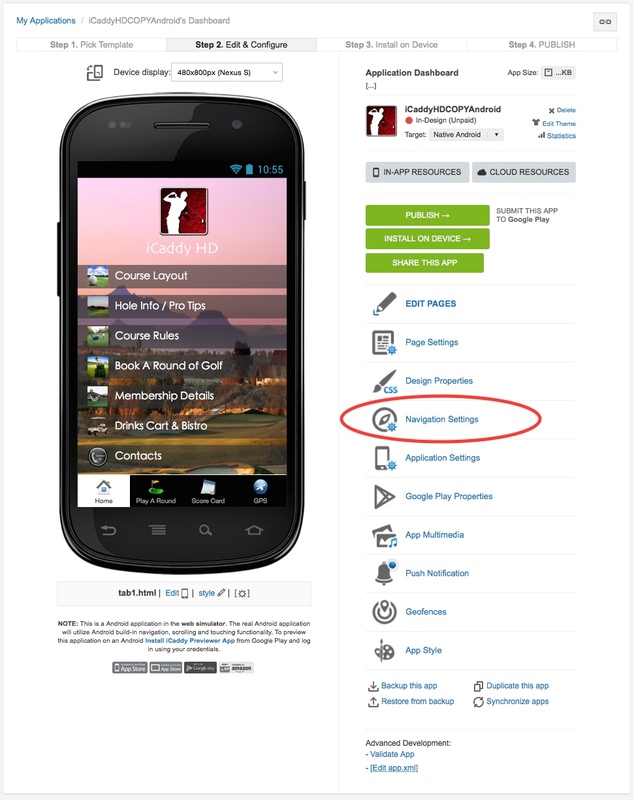 After duplicating your App, You need to select the navigation settings for the Android version. From the App's 'Dashboard' select 'Navigation Settings' (as shown above). 1. Select 'IOS style bottom tabs' Enabled. 2. Select 'IOS style navigation' Enabled. Note: The 'Enabled' setting is not normally recommended, however the iCaddy templates are designed to have the 'IOS Style tabs and navigation' set as 'Enabled'.